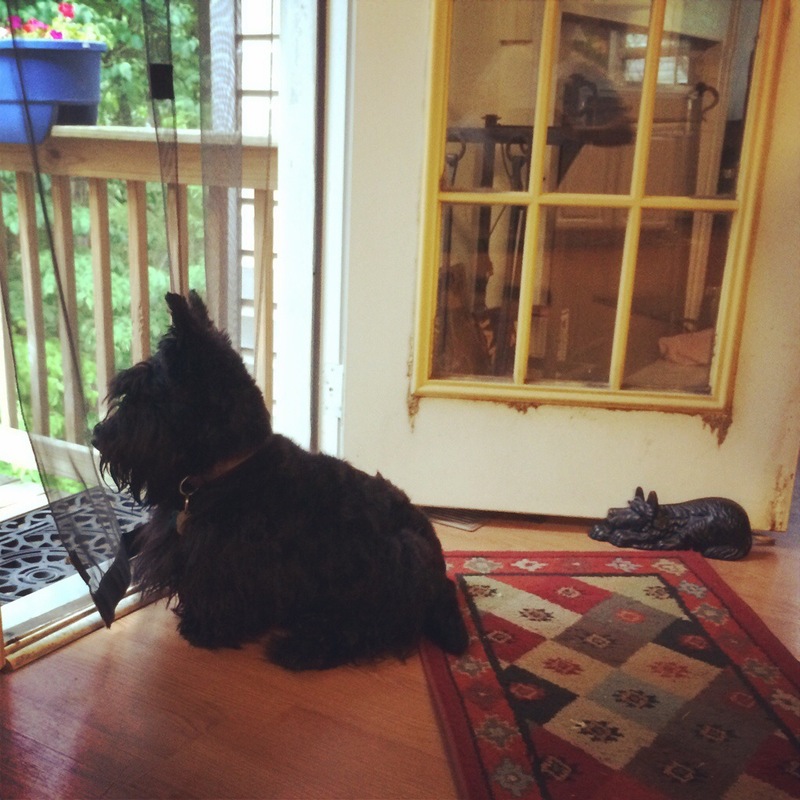 Jack and Wee Fergus (the door stop) are currently on squirrel patrol. keep a close eye on those little buggers !!! Young Jack and Wee Fergus keeping watch for squirrels! So cute. How is Jack doing since Spec left him for the Rainbow Bridge? Does he miss his old friend? Wee Fergus is cute but I don’t think he’s a substitute for Spec. Jack has been quite sweet and cuddly lately. I think he is missing Spec and also picks up the sadness around him. Fortunately, he has regular play dates with Sweetie, the miniature Schnauzer from next door. Thank you for asking.